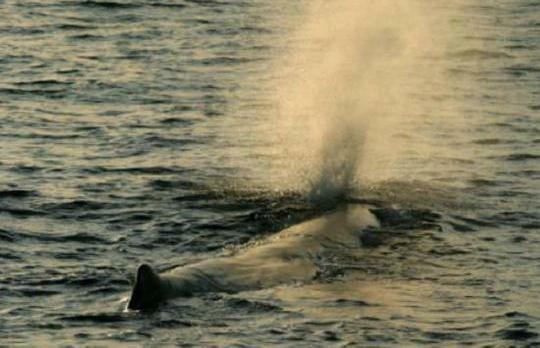 Whales in Maltese waters, and we hardly know about them! Many may be surprised to learn that sperm whales can be found in Maltese waters, albeit in depths of close to 1,000 metres, and have been sighted within the 25-nautical-mile zone. But the surprise is really only another indication of the poor awareness about Malta's biodiversity, according to a conservation biologist, who, besides dolphins, has even sighted in Maltese waters the elusive, huge fin whale at certain times of the year. University lecturer Adriana Vella, who is also the founder of the Biological Conservation Research Foundation, can consider herself lucky enough to have spotted various species of cetaceans, including the 16- to 20-metre-long, toothed sperm whales and the 20- to 27-metre-long fin whales, given that the former, in particular, is a deep-diving creature that can spend up to an hour under the water. The study of these cetaceans took a lot of time and huge effort, Dr Vella said, adding that the process was facilitated with equipment such as the hydrophone, an instrument that picked up whales' biological sonar system. However, the effort is not supported enough, it seems. "Many Maltese do not think whales inhabit the Mediterranean Sea, let alone our waters. And I am not surprised as there is still lack of public and media awareness of our natural resources. "There is no encouragement by local TV producers and the national station to produce documentaries on our wildlife. Too often, the only documentaries seen are those about some remote part of the world, while we tend to have many more programmes on politicians than on Maltese biodiversity. "We are surrounded by a beautiful sea that still is home to thousands of species, which we need to learn more about and conserve for future generations." Dr Vella said sperm whales could be spotted alone, or in twos, but rarely in groups. Like dolphins, they surfaced to breathe. Once they are sighted, normally through the spray from their blow hole and using binoculars, a distance of more than 100 metres should be kept for their safety. "You need to give whales, dolphins and turtles that come up to the surface to breathe and bask, space and time to behave normally. When turtles are basking, they need time to go back in the water," Dr Vella said, expressing her fear of jet skis and power boats that go far out and at fast speeds, disrupting animal activity and causing injury. The sperm whales are distinguished from others by their different behaviour, including the time they remain on the surface, she explained. In 2007, Dr Vella had spotted fin whales, the second largest in the world, in local coastal waters. Located only four kilometres off shore, the proximity was considered a record. Both the fact that the whale was approached by another, presumably in attraction to its mating song, and that they stayed on for a few days were equally unique, Dr Vella recalled. More stories from The Times in the News section.